India tours from the UK have become increasingly popular, as this magical country offers so much to the open-minded traveller. Distant Journeys takes you around India’s ‘Golden Triangle’, a classic itinerary including three iconic, colourful cities. The tour begins in the nation’s capital, Delhi, full of astounding architecture and vibrant culture; continuing to the ‘Pink City’ of Jaipur, before spending two nights in Ranthambore National Park, home to the elusive tiger. No tour of India would be complete without visiting arguably the most beautiful building in the world – the Taj Mahal. We spend two nights in Agra, allowing plenty of time to drink in the Taj Mahal’s splendour. Staying in top quality hotels throughout, and conducted at a relaxed pace, this tour is the perfect way to explore and enjoy the enigma that is India. Depart from either Birmingham, Glasgow, London Gatwick, London Heathrow or Manchester with Emirates – you can choose the most convenient airport for you at no extra cost. These all include a change of aircraft in Dubai. You also have the option to fly direct to Delhi with Virgin Atlantic from London Heathrow at no extra cost. All Emirates flights travel via Dubai, while Virgin Atlantic flights travel directly to Delhi. 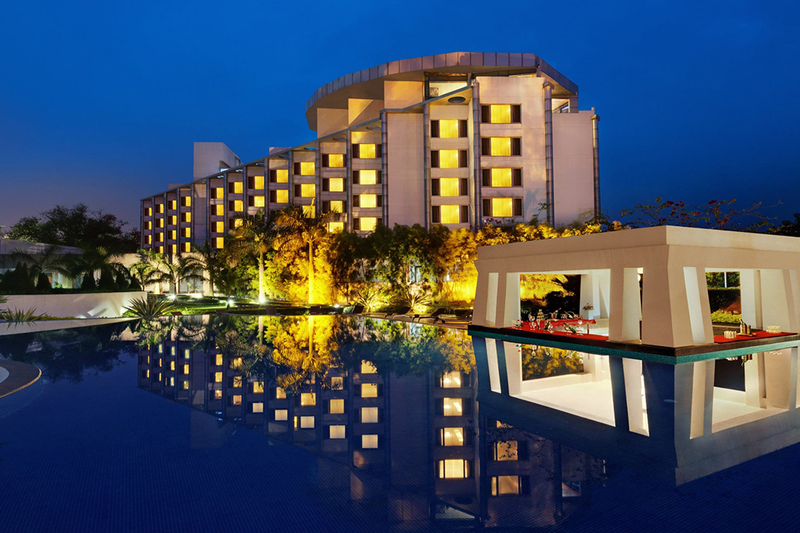 Once you’ve landed in Delhi, you’ll be transferred to your first home from home in India, the five-star Hyatt Regency hotel. This evening is a great opportunity to enjoy a welcome drink and get to know your Tour Manager and fellow travellers, ready for the adventures that lie ahead. 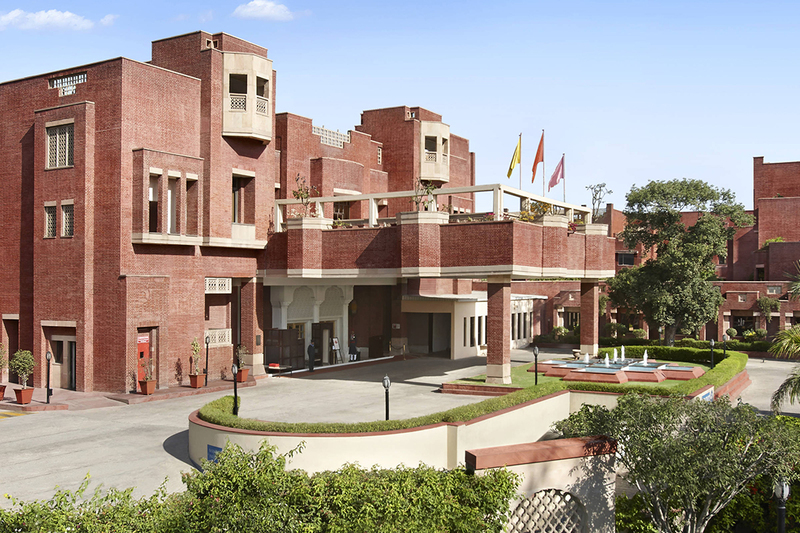 Our first destination in our Indian adventure is Delhi, the perfect introduction to the country, offering a blend of the traditional and modern. A rickshaw ride through Old Delhi starts off our day, taking us past many of the city’s historic treasures. Our rickshaw journey will travel via the opulent Red Fort, an impressive Moghul palace, Jama Masjid, the largest mosque in India, and Chandni Chowk, a lively market burst with colour. We will also visit the imposing India Gate and Parliament House in New Delhi before stopping for a spot of lunch at the Olive Bar & Kitchen. The afternoon will see us take in the landmarks of New Delhi, demonstrating how the city has become a melting pot of religions and cultures. These include Humayun’s Tomb and the Qutub Minar, a towering minaret made from red sandstone and white marble, dating back to the 13th century and measuring 75 metres high. The first of our Freedom Days during our time in India, where you are welcome to spend your day as you like. Our Distant Journeys Tour Manager will be there for you to offer any advice on the local area, from what to do to where to eat, and can also help with any excursions or arrangements you may need. 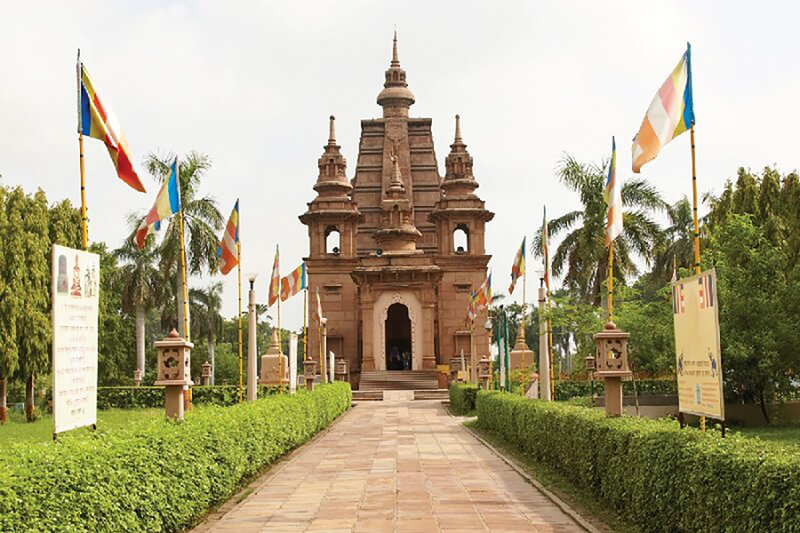 One suggestion is to visit two of the most architecturally impressive temples in India, the Lotus Temple and the Akshardham Temple, or alternatively enjoy an introduction to the country’s many languages, cultures and religions. There is also the option to take a tour of the markets and schools of Delhi, with local street children leading the way – part of a project supported by the Salaam Baalak trust. This evening, you can also choose to dine in one of three excellent restaurants personally chosen by us, each offering their own take on the delectable Indian cuisine. This morning we begin our journey to the ‘Pink City’ of Jaipur. En route we visit the excellent Heritage Transport Museum for an interesting journey through the evolution of India’s motor industry on a self-guided tour. 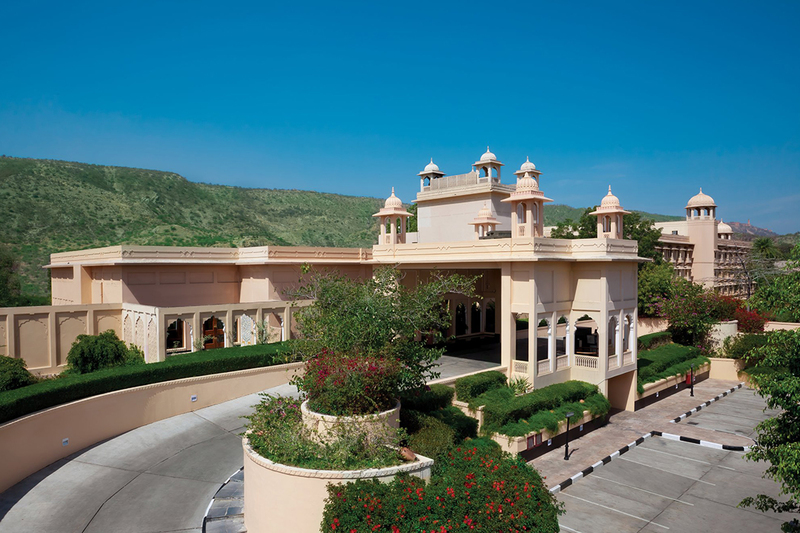 Later, we continue to Jaipur, the colourful capital of Rajasthan, and to the Trident Hotel Jaipur, offering stunning views of Mansagar Lake and Jal Mahal. After breakfast we travel a short distance to meet our waiting Jeeps, which take us to the majestic Amber Fort. Set amidst the hills and overlooking the Maota Lake, this UNESCO World Heritage site is a fabulous example of Rajput architecture. Later, we stop for a photo opportunity at the beautiful façade of the Hawa Mahal (Palace of the Winds). This afternoon visit the City Palace Museum with its blend of Rajasthani and Mughal Art, and the awe-inspiring Jantar Mantar, an observatory built in 1726 which still provides accurate information to this day. This evening, should you wish, there is the option to take one of two wonderful dining experiences; a dinner under the stars, surrounded by bushland and the Aravali Hills, or enjoy a cooking demonstration and dinner in the home of a local Rajasthani family. Explore Jaipur at your own pace with a Freedom Day, where you can sit back and relax or take in as much of the city as you wish. A heritage walking tour through the old city, showcasing the local trades and crafts, is one of our optional activities for today. We also offer the chance to visit a local organic farm and watch a live cookery demonstration, or to learn all about the ancient art of hand block printing and the manufacture of the area’s famous Blue Pottery. This evening we will enjoy a meal to remember at the delightful 1135AD. Here you can dine like royalty, as this acclaimed restaurant is set within the Amber Fort’s historic ramparts. Leaving Jaipur behind, we journey on to Ranthambore National Park. Once the private hunting ground of the Maharaja, the park is now celebrated for its wildlife conservation, and in particular its majestic tigers. After lunch, we board our open canter vehicle for our first safari. Whilst the elusive tiger is the park’s most famous inhabitant, keep an eye out for sambar deer, marsh crocodiles, sloth bears, monkeys, leopards and more than 250 species of bird life. Our accommodation for the next two nights is the delightful Nahargarh, built in the style of a traditional Rajput hunting palace. Dinner this evening is at our hotel. This morning we rise early, ready to explore another fascinating area of the National Park. We will travel through more of Ranthambore again in the hope of seeing more of the amazing wildlife, including the elusive tigers. Returning to the hotel for breakfast, the rest of the day can be spent as you please. 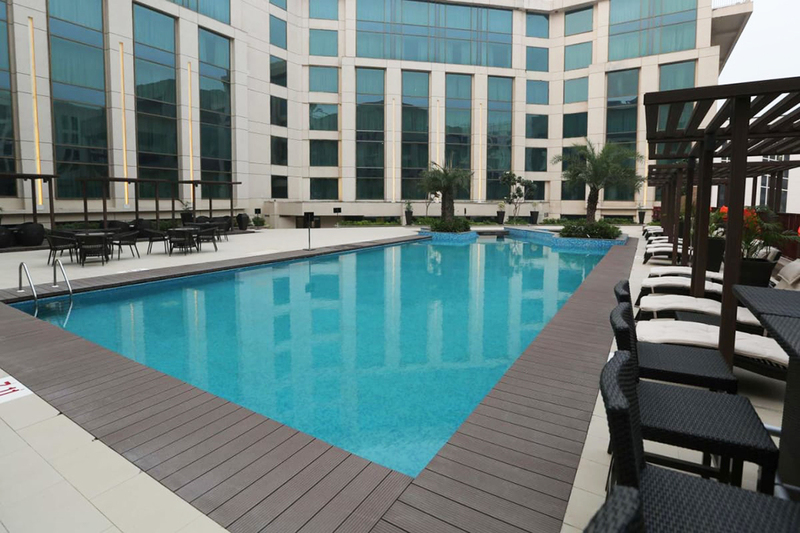 After a few busy days of exploration, a spot by the hotel pool may be the perfect place to enjoy some R&R, before enjoying a barbecue dinner surrounded by picturesque views of the hotel grounds at twilight. 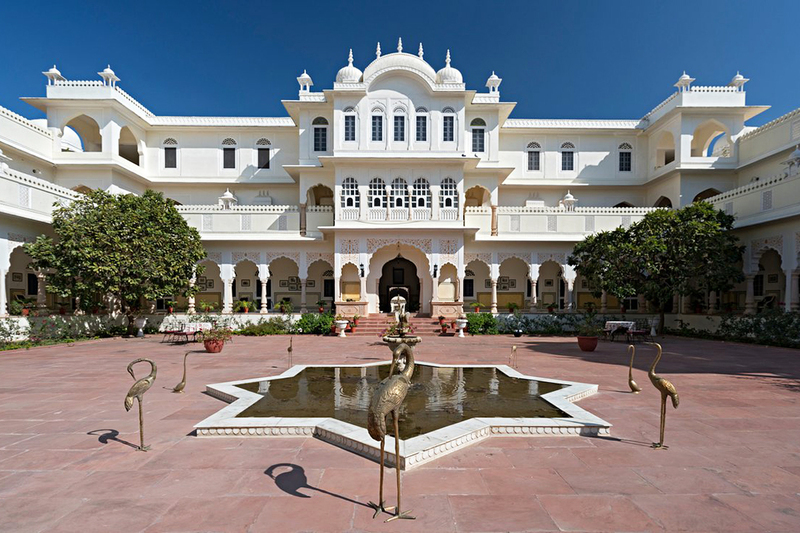 After breakfast we make our way to Bharatpur, where we enjoy lunch in the tranquil and peaceful Laxmi Niwas Palace. We continue our journey to Agra where we discover Fatehpur Sikri, an imperial city of the Mughal dynasty. Built in the 16th century by Emperor Akbar, Fatehpur Sikri was deserted after only 14 years of rule. The abandoned city is now a UNESCO World Heritage site, providing a wonderful insight into life in the time of the Mughal dynasty. 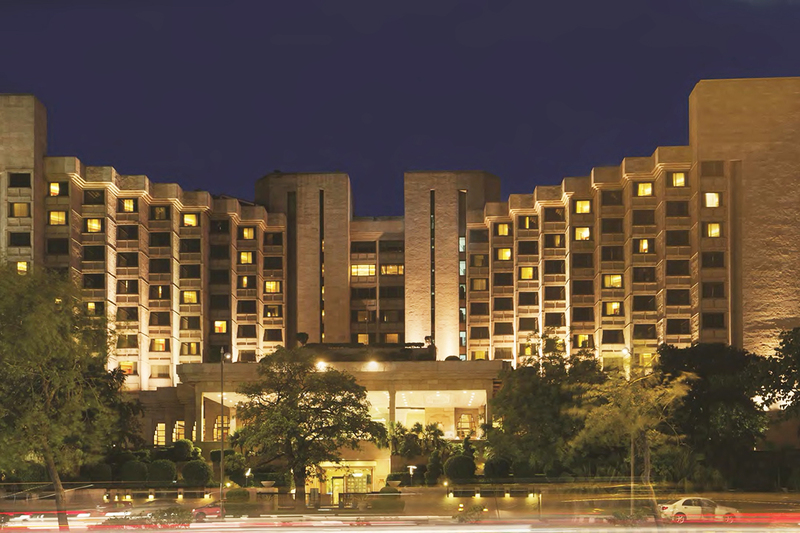 We continue on to Agra and our hotel, the Trident Agra. Agra is home to India’s most iconic attraction, the Taj Mahal, so our morning begins with a visit to this magnificent monument. The Mughals were at the peak of their power and wealth during Shah Jahan’s reign and it is said that over 20,000 stone carvers, masons, and artists from across India, Turkey and Iraq were employed to build this monument to love on the banks of Agra’s Yamuna River. After a wonderful visit to the Taj Mahal we visit the impressive red sandstone Agra Fort which was the imperial city of the Mughal rulers. Embracing grand halls and palaces, the country was governed from here for many years. Our afternoon has been left free to spend as we please. This evening, there is an opportunity to experience Mohabbat The Taj show, depicting the romantic story of the Emperor Shah Jahan and his beloved wife Mumtaz Mahal. For those that wish, you can rise early for another opportunity to view the Taj Mahal at sunrise. Our vantage point is from across the river at Mehtab Bagh or ‘Moonlit Gardens’, which provide some incredible photo opportunities. Following breakfast in the hotel, we travel with our local tour manager back to Delhi. Staying at the Pride Plaza Hotel, our afternoon is free to take in any last-minute souvenir shopping. We’ve sadly come to the end of our Indian adventure, flying back to our chosen airport in the UK. Emirates flights will fly via Dubai before arriving at the airport of your choice, while Virgin Atlantic flights fly direct to London Heathrow. There’s so much to experience in this magical place. So you’ll be pleased to know that the Golden Triangle and Ranthambore tour already includes so much for its exceptional price. That’s all your scheduled international flights, overseas transfers, perfectly located hotels, daily breakfast and many other meals, experienced local tour managers and friendly, knowledgeable guides, and many wonderful sightseeing excursions. Single supplement for tours from November 2018: £695 per person. Single supplement for tours to March 2019: £745 per person. Visa: British and Irish Citizens travelling to India will be required to obtain an e-Tourist Visa (e-TV) before travelling. You can find more information about the eligibility criteria for the e-visa and apply online on the government of India’s e-Tourist Visa website: https://indianvisaonline.gov.in/evisa/tvoa.html Thecost of this visa is currently (September 2018) USD75 per person. As the government online application can be tricky in places, you may prefer to use a visa agency to simplify the process. We recommend a company called VisaHQ. Please call for details. Return economy class flights: Choose to fly with Emirates via Dubai from London Heathrow, London Gatwick, Manchester, Birmingham or Glasgow. 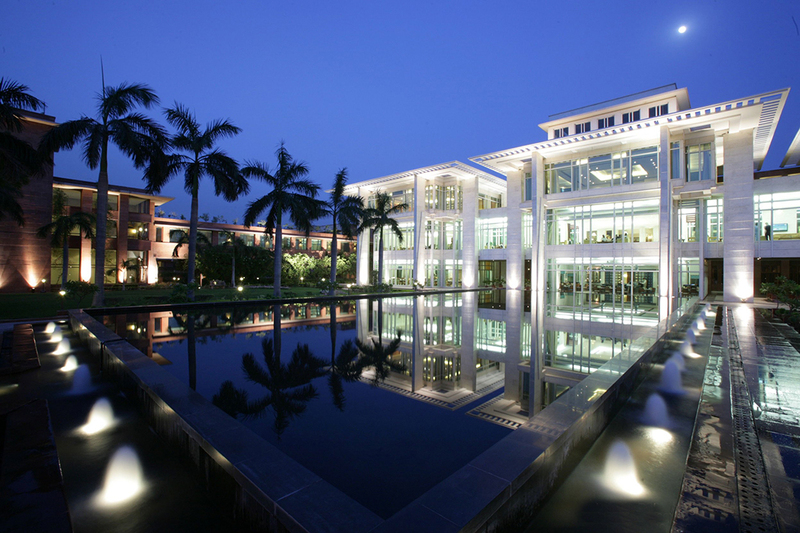 All the hotels on our tours to India are personally selected by our Directors to ensure they meet their high standards. Over the decades they’ve worked in the travel industry, they’ve come to understand exactly what elements of a hotel work best on a touring holiday. 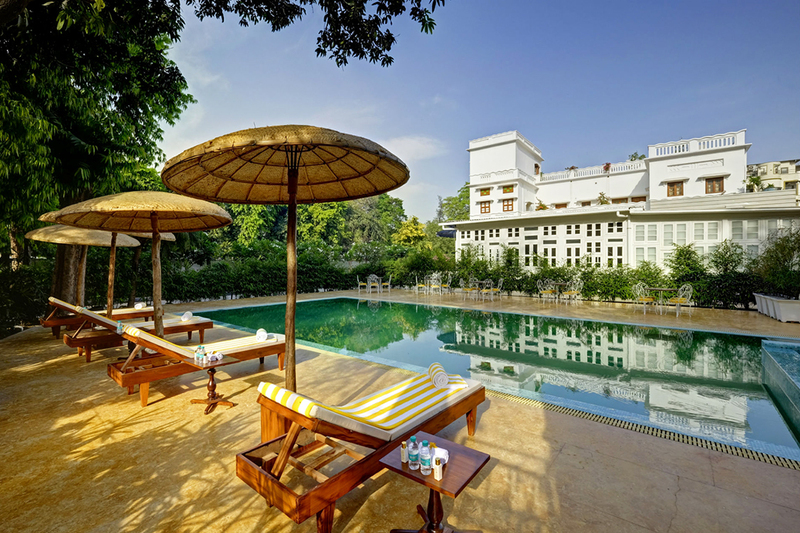 So throughout your touring holiday in India, rest assured that we’ve aimed to provide top quality accommodation, where service with a smile comes as standard. During your escorted tour of India, there will be plenty of opportunity to discover your destination with the included sight-seeing and experiences included in your holiday. In addition to this, you have Freedom Days – days in which you can spend as you please, according to your interests. You may decide to use these days to relax at your hotel and recharge before the next adventure. Alternatively, you can opt to take one of the additional activities to experience the food, culture and history of India. There’s no need to decide everything before you leave the UK – many of our Freedom Day excursions can be arranged locally with your Tour Manager up to the day before. To learn more about the excursions on offer, simply click on the descriptions below. If you’ve decided to stopover in Dubai on the way home and extend your holiday, you may want to make the most of your short stay in this exciting destination by taking an optional excursion or two. 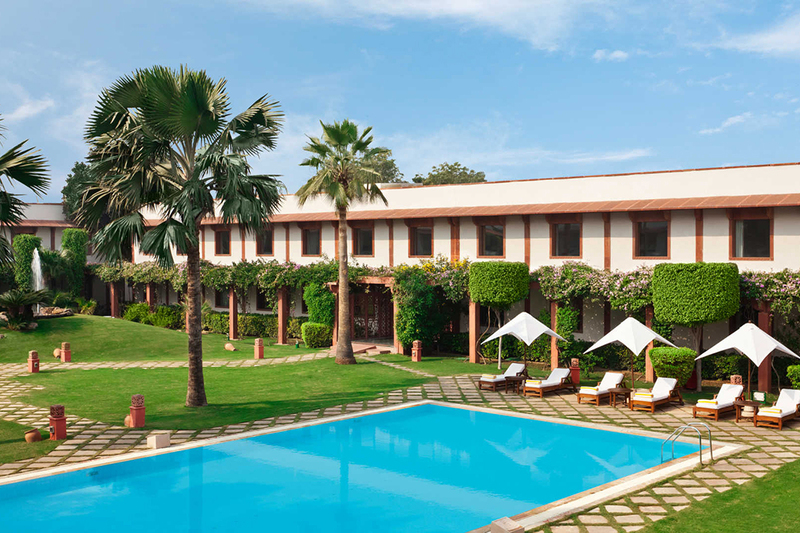 If you book your Golden Triangle and Ranthambore tour by the 1st July 2019, you can take advantage of our offer of two tours for just £39 per person. Get to know this surprising and enchanting country a little better during a walking tour in Jaipur, or try your hand at traditional crafts with block painting. In addition, while in Agra, discover the love story behind arguably the world’s most beautiful building, The Taj Mahal, with a performance you wont forget. Together these excursions would would cost usually cost £82 per couple.